This American National Health Insurance Company Review explores Galveston, Texas-based American National Insurance Company (ANICO). The company provides supplemental health, life insurance, credit, and life insurance products in addition to commercial and agribusiness property & casual insurance lines. If you are interested in lowering your or your company’s health insurance rates, take a few moments to request health insurance quotes from competitive insurance companies. Start by typing in your zip code right now! The company markets its products and services throughout the United States, Puerto Rico, and other markets. The company owns State Life Insurance, Standard Life and Accident Insurance, Farm Family Holdings, and Garden State Life Insurance. Health insurance products are marketed via a company consumer-direct unit. Property & casualty products and services are sold through a proprietary sales force. The company is approved to sell insurance in all 50 United States. The company was founded by businessman William L. Moody, Jr. in 1905. The Moody family maintains an active interest in the company, and Robert Moody is American National Insurance Company’s chief executive officer and chairman in 2011. Robert Moody’s daughter and son serve the company on the Board of Directors. The Moody Foundation holds 20% plus of the company’s outstanding shares. The Moody family trust is the depository for approximately 40% of the company’s shares and has maintains both for-profit and charitable interests. The company maintains offices in Glenmont, New York; Springfield, Missouri; and San Antonio and League City, Texas. 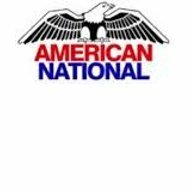 American National Insurance offers a varied insurance product portfolio to its individual and business clients, including health and accident coverage, pension products and services, agricultural and specialty insurance, and property & casualty insurance for individuals and families. The company has some firsthand experience with hurricane damage: in 2005, the company decided to move to secure temporary headquarters in San Antonio, Texas when Hurricane Ike damaged the Galveston headquarters. In 2010, the company sold Securities Management & Research, a small broker-dealer and investment management subsidiary. Securities products are still distributed through SM&R. According to the company’s website, sale of the broker-dealer did not affect the company’s earnings. The company offers direct marketing programs to consumers through mailings and Internet offerings. In addition, the company uses a national network of independent, multiline insurance brokers and agents and other marketing companies to sell its products and services. The company reported fiscal year 2010 sales of $3.07 billion, and achieved a 3.98% one-year sales growth (2010 vs. 2009). The company’s 2010 net income was $144.03 million, or 821.77% increase in net income year-to-year (2010 vs. 2009). The company has total assets of about $21.41 billion, and total assets of approximately $21.41 billion. ANICO’s market value is approximately $2.11 billion. Dun & Bradstreet considers the company a low-risk vendor. According to the company website, ANICO was affected by the economic downturn of 2008. The management of the company trimmed overhead to manage assets and liabilities. Although total insurance sales decreased from 2008 to 2009, the company’s earnings increased as new insurance and annuity policies were written. In 2009, the company decided to consolidate its information technology and data centers. The same year, ANICO withdrew its insurance operations in Mexico. Simultaneously, the company registered a New York-based life insurance operating subsidiary. American National Insurance Company employs about 3,251 people throughout the United States. About 730 people work at the company’s headquarters on Galveston Island, Texas. ANICO’s shares are publicly traded on NASDAQ (Symbol: ANAT). The company’s shares have paid shareholders continuous dividends for 101 years. Customers have access to a private customer portal on the company website. They may download and print claims forms or submit requests for customer service online. Alternatively, the company’s toll-free customer service number for health insurance customers is +1-800-899-6503. Health insurance costs keep rising, but you can pay less. Compare your current rates with health insurance quotes from interested competitors. Start now by entering your zip code!